The ninth edition of this well-established work offers a concise outline of the scope and workings of the Motor Insurers' Bureau. It explains the extent of the Bureau's liability and the procedure for recovering compensation for victims of accidents involving "hit and run" and uninsured drivers. 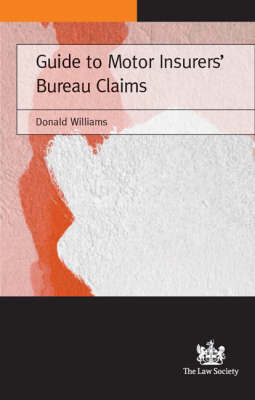 This new edition has been extensively updated, offering practical coverage of: the new Untraced Drivers Agreement; important changes to the Guidance Notes of the 1999 Uninsured Drivers' Agreement; the impact of the Human Rights Act; and recent cases including the House of Lords decision in White versus White and The Motor Insurers' Bureau.